Ha okay talk about being better late than never I suppose. I have been working a whole lot but now I finally have some time off to get back to blogging! Woop! 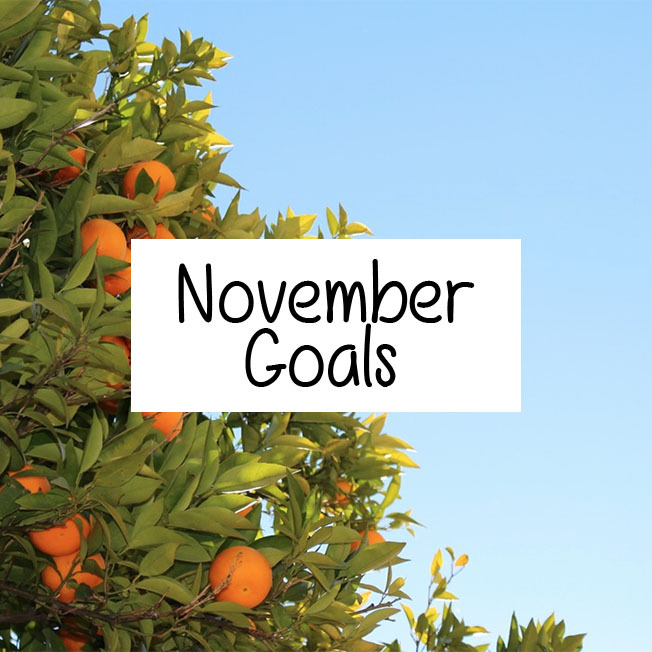 Here are three November goals I've scrounged up. 1. No more buying House stuff until I move in! This is very important. It's not that far away now and I need to stop. 2. Start Buying Christmas Presents! I have a few ideas but I need to start shopping. I did buy a lot of things for myself yesterday though..
3. Use more of my own photos for blog posts. I tend to go back and forth on this one, but I'd like to start having all the images be my own. I currently use images from places such as Unsplash, which have free unlicensed photos.